Brian Kittery has been servicing the Boston area with his tree company since 1985. What started out as side job to make a little extra money quickly turned into a successful family run tree service company called All About Tree Service. With 32 years of tree service experience, Brian and his wife Laura have helped the local community as best they could with all their tree service needs. If you are in the Boston area and need stump grinding service, tree removal services, pruning or tree trimming, please call All Seasons Tree Service today! Since 1977, Arbor Tree Service has been servicing the Greater Boston area with all of its tree service needs. Founder Robert Moses received his education in the field of Arbor Culture from the Essex Agricultural College in 1979, and soon thereafter started his tree service company, Arbor Tree Service. Arbor Tree service can handle any job from the very difficult hazardous tree removal job to the smaller tree trimming jobs. With an array of cutting edge tree service equipment, you can rest assured that Arbor Tree Service can get any job done right. Please call us today for your free tree service estimate! Arborway Tree Care have been "The Tree Care Professionals" in the Boston area since 1979. They are fully certified tree care experts, and would be happy to show you their insurance number at any time during your free tree service estimate. With state of the art equipment Arbor Tree Care is able to do an array of serices such as: Complete Shrub and Tree Spraying, Fertilization, Stump Removal, Lot Clearing, Corrective Pruning, Emergency Storm Damage, Preventative Tree Treatments, and Large and Small Tree Removals. Please call Boston's most professional tree service company today! With over 17 years of tree service experience, Mark Bogan has the expertise to handle any tree service job that you can throw at him. Mark is a member of the Tree Care Industry Association and the Massachusetts Arborist Association. We have done as sorts of tree service jobs around the Greater Boston area including: Tree Removal, Stump Removal, Emergency Tree Care, Stump Grinding, Land Clearing, and Tree and Shrub Pruning. Call our friendly tree service experts today for your free quote! Established in 1979 by Joseph Falcione, County Tree Service quickly turned into one the premier tree service providers in Massachusetts. County Tree Service has a reputation for doing some of the best tree removal, tree trimming, and tree care work in the area. If you are looking for tree service in Lynnfield, Middleton, North Andover, Bedford, Reading, Tewksbury, or Wilmington please call us today for your free tree service quote. Let our commitment to excellence make your tree service needs worry free! Born and raised in Allston Massachusetts, William DeMore, wanted to create a tree service company that would help out the local neighborhood with the very best tree removal services. For over 30 years William has put his reputation on the line with every tree service job he has done. Demore Tree Service has the capability to remove trees, trim trees, and do preventative maintenance to trees. If you are in Somerville, Cambridge, Arlington, Allston, Newton, Brighton, Brookline, or Watertown and need tree service, please call us today for your free tree service quote! Manning Tree & Landscape Inc. has been serving both commercial and residential customers with the very best tree service since 1985. No tree service or landscaping job is too big or small for these tree service experts. With an array of services such as tree removal, tree trimming, landscaping, hardscapes, and lawn and tree care, Manning Tree and Landscape is here to help. We have proudly served our Massachusetts customers for over 30 years. Please call us today for a free quote or any questions on your tree service needs! Mez Tree Service has been servicing Central Massachusetts for over 30 years. With our low rates and free tree care estimates, we are great bargain for getting your tree service taken care of. 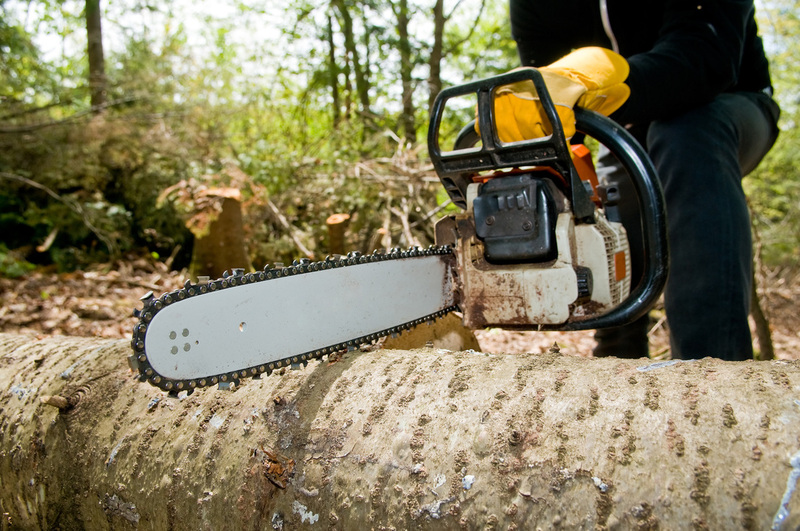 We can do any tree removal job including both residential tree cutting, and commercial tree cutting. Please give our tree service professionals a call today for all of your arbor needs! For 27 years, Middlesex Tree Service has acquired the knowledge and equipment to be the best tree service provider in the Greater Boston area. There is not a tree job too big or too small that we wouldn't quote on. We are capable of removing large dangerous trees on top of houses, and can also do preventative tree care to make sure your beautiful trees will stay beautiful. Call us or email us today for your free tree care estimate! Ross Tree and Contracting, Inc. began doing business in 1981 with the goal of giving the local Boston community a great option for there tree removal needs. By doing the job the right way for so many years, Ross Tree Removal has become one the most trusted companies in the area. They do all sorts of tree services like tree removal, tree trimming, stump grinding, emergency tree removal, and much much more. Please call one of the leaders in the tree service industry today for your free quote on any tree service need! Founder and Owner, Alex Schwan, is a certified arborist who learned the tree care industry from some of the best. Schwan recently moved to Boston area and quickly set up his tree service company in 2010. Alex is all about serving the Greater Boston area with affordable, and friendly tree service. He and his crew are capable of handling any tree service job from the large dangerous tree removal, to the small tree trimming job. Give Alex and his crew a call today to get your free tree service estimate! Owner Andy Felix started Tree Tech back in 1986, and has grown it to a 80 person team a tree care professionals. We are one of the largest tree service providers in the New England area, serving all of Rhode Island and Massachusetts. Our capabilities range from removing a tree 80 feet high, to bi yearly tree trimming for commercial projects. Please call one of our multiple tree service locations for your free quote today! Walnut Tree Service has earned a reputation for being dependable and respectable by doing great tree service work for over 7 years. We serve the Boston area with residential and commercial tree care year round. While we specialize in tree removal and tree trimming, we are also able to handle the tougher jobs such as emergency tree removal and dangerous tree removal jobs. Please call our 24 hour call center today for all of your tree care needs! It's important to only work with fully licensed and insured contractors in Boston. Boston tree removal cost is one of the most important factors for customers looking to hire. Want to let customers know you are a top ranked Boston tree removal contractor?